Bristol City midfielder Josh Brownhill has improved year on year and his progression has not gone unnoticed. TeamTALK is reporting that Leicester are interested in the 23-year-old, but face competition for his services from Brighton and Hove Albion and Bournemouth. Brownhill has scored three goals and notched two assists for the Robins who sit just outside the Championship play-offs after another impressive season both for the midfielder and the club respectively. Having signed a new deal to stay at the club until 2021, the City ace would command a sizeable fee were Leicester to firm up their interest with a solid offer. But does his statistics from this season so far suggest he is ready for a move to the Premier League and swapping one city for another, leaving Bristol for former top-flight champions Leicester? Brownhill has three goals and three assists to his name in the 26 appearances for the Robins this term – totalling 2268 minutes, the second most this campaign only behind Marlon Pack. The Leicester-linked middle man averages 1.9 shots per game and has had 49 in total so far during the year. The majority have come from outside the area (42) which shows he is not shy to have a pop on goal if needed and proves his confidence in his ability to do so, too. Five other efforts have come inside the penalty area with a further two inside the six-yard box. 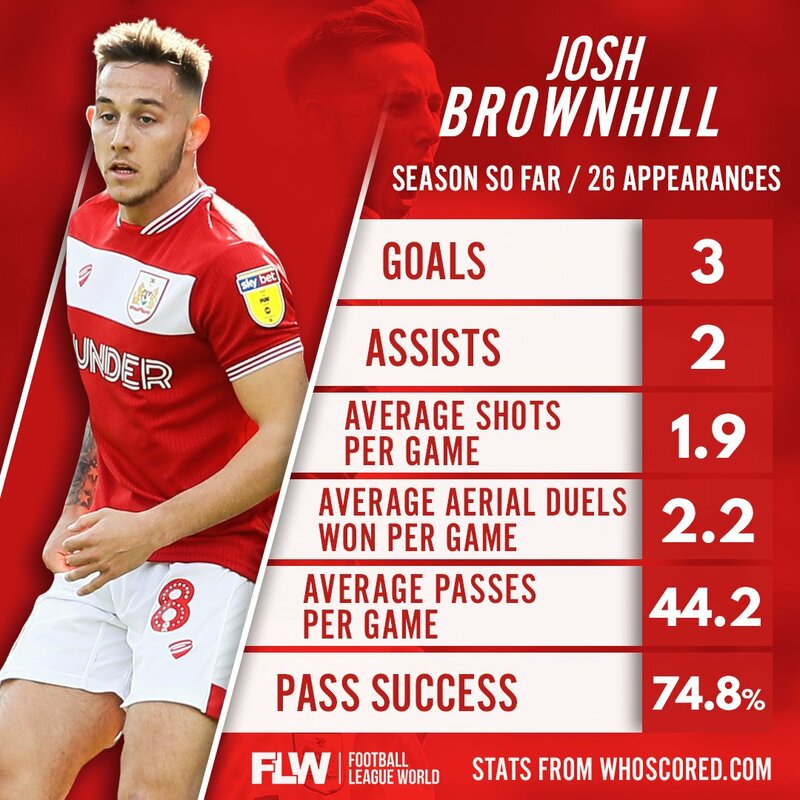 Brownhill’s dominance in possession has been one of the strength’s to Bristol City’s rise up the table this term, too. He averages a pass success rate of 74.8 per cent and has made a total of 1146 passes for the Robins in the 26 games he has played in. The 23-year-old has completed 859 of his 1146 passes – that is around 74 per cent of his total passes played this year, with 53 of those being accurate long passes. With the ball at his feet, Brownhill is a magician for the Robins and is adept at creating opportunities for his teammates – averaging 0.6 key passes per game. In total, three assists have come from his 16 accurate long passes, 12 being short and four being of the long variety. It isn’t just on the ball Brownhill has been effective for Bristol City, he has been solid in the defensive department too. The 23-year-old has averaged 1.4 tackles per game as well as making 1.2 interceptions also. Lee Johnson can rely on Brownhill to snuff out danger as well averaging 1.4 clearances per game too. From the statistics provided, you can see Brownhill is providing City with something that Leicester sometimes lack, especially at the King Power Stadium. Brownhill could add another dimension and a different way to play under Claude Puel. He would undoubtedly be a player that could grow with the club and adapt to the Premier League like a duck to water. 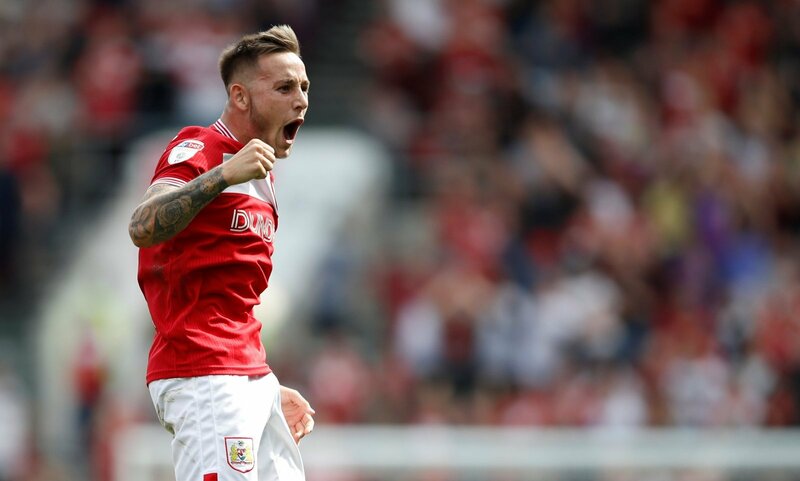 It’s clear his performances for Bristol City are one of the reasons why they are so close to the top-six, and he could well inject some much-needed impetus in the middle of the pitch, should Leicester opt to make a move for him.